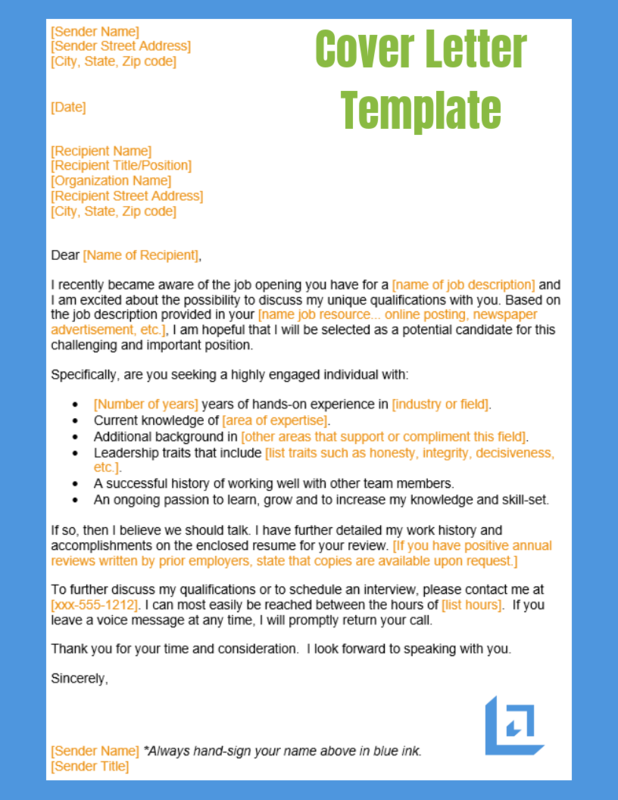 Our free sample cover letter tool improves your chance of making a great first impression with a prospective employer. When submitting your resume for a new position, always take the time to properly introduce yourself in a professional manner using a formal cover letter document. Remember, your job application is most likely one of many, so first impressions count! Therefore, you have little room for error when applying for a new opportunity. The cover letter is the first thing your prospective employer, or other decision-maker, will see and they will judge you in part based on your ability to stand out during the job application process. Therefore, your goal is to do "no less than impress", right? An effective cover letter provides a doorway that you want another person to walk through; to gain interest in finding out more about you; to consider you for a position within their business. So, you want to introduce yourself as the solution to a problem they have. Market yourself as an experienced profession who possesses the desired skill-set and proven track record for results they desire. Rather than simply stating you are the best person for the job, briefly sell yourself using clear and concise examples of the value you bring. Note accomplishments you've made and leadership traits you possess. Articulate your commitment for doing what it takes to ensure success and exceed expectations. As you prepare a cover letter, put yourself in the shoes of the decision-maker(s). 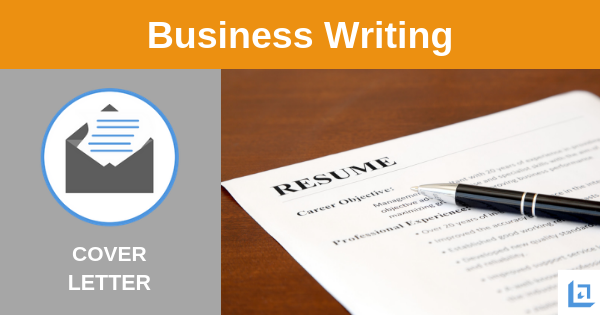 Realize yours is one of many resumes and cover letters being considered for a single position. If the cover letter is bad, will that person even take the time to read your resume? Possibly not. However, if your cover letter is solid, the odds are good they'll want to learn more about your background and experience. "An effective cover letter will make a great first impression and effectively introduce you with professionalism, style and class." Take the time to personalize each cover letter to the specific employer. Do not send a formula cover letter. One size does NOT fit all employers. Use our free sample cover letter template to ensure the proper balance between brevity and providing key details that will make them want to learn more. Next, set your completed letter aside and let some time pass before proofreading your document. Then, make some final edits. Pay close attention to spelling and proper use of grammar. Lastly, always have a trusted friend or colleague complete a final proofread of your cover letter before sending. "The objective of strategic communications is to achieve a specific result with those you hope to persuade." Research the job completely and understand clearly what the employer is looking for. Effectively sell your strengths. Work to set yourself apart from other applicants who are competing for the position. Focus the content of the letter on making clear how you can effectively meet the employer's most important needs. Provide specific examples of how you have performed successfully in dealing with problems of a similar nature. Effectively connect with the reader using words and phrases that will appeal to them. Words might include: leadership, taking ownership, results, achievement, quality, service, etc. 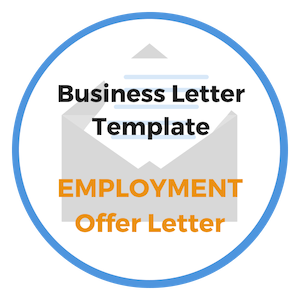 Using our free cover letter template, customize the letter for the specific job you are applying for. Always emphasize how you have historically contributed to the organizations you've worked for in the past. Provide letters of reference if possible. Even better, offer to provide copies of your past annual reviews - this one action will make you an instant standout as almost no one makes this offer, which is a big miss! Shown below is an image of our free sample cover letter. Use this free template to make a positive first impression that makes your prospective employer want to learn more about your background and the value you can bring to the organization. 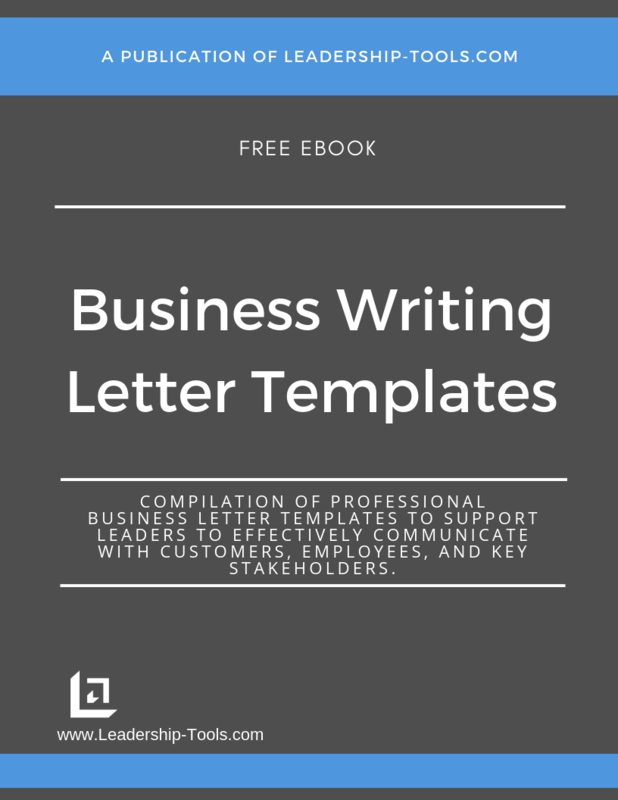 To download our free Business Writing Templates/eBook, complete with the above free sample cover letter, plus templates for many other topics, simply subscribe to our free newsletter. You will immediately receive a password that grants access to our entire leadership tools library.